HomeWaters, being based in the town of Spruce Creek, Pennsylvania, provides anglers the ability to fish during all seasons of the year. I’ve often said that one of the best parts about fly fishing in Pennsylvania is we really have the option to fish all year long. I work year round as a guide, but I also take full advantage of each season that Pennsylvania has to offer during my own personal fishing time. Do you? Keep in mind that “seasons” are defined generally and “seasons” tend to overlap to an extent. It’s possible to have different experiences within each season depending on the weather and conditions. Let’s take a brief look at each of the “seasons” at the club, and make sure your taking advantage of everything a year at the club has to offer. The early season is the kickoff of the fishing year, and a great time for anglers to get their first taste of time on the water. Nymphing and Streamers are usually the best bet, and conditions are usually favorable for great days of fishing as the fish turn-on for the year after little pressure over the winter. Limited dry fly opportunities also do exist, thanks to Blue Winged Olives. This is an excellent time of the year to fish on all the club watersheds of Penns, Yellow, and Spruce Creek. Major hatch season: Grannoms, Sulphurs, Green Drakes, and a variety of others. This is the time of year where most of our major dry fly hatches occur. It’s a special time of the year; I always encourage anglers to try to experience each of the different hatches that take place on our water. 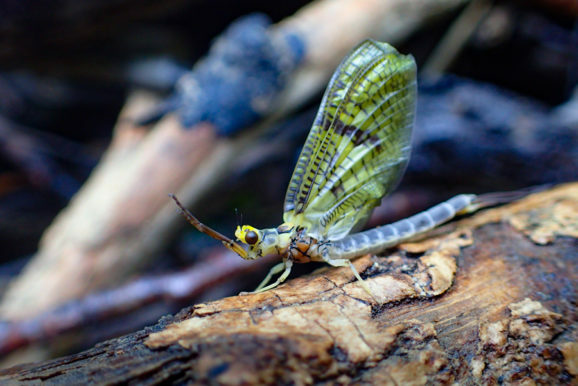 Basically every beat of water the club has, fishes well this time of year, but the Sulphur and Green Drake hatches in May down at Forge Bottom in Yellow Creek are without a doubt, worth mentioning. During the summer months, float trips for Smallmouth Bass on the Juniata River are a large highlight of the season for me. These are the prime months of the year to catch smallmouth bass on poppers and a variety of other techniques. Due to how cool our water temperatures remain, the trout fishing during the summer on our water can also be good. 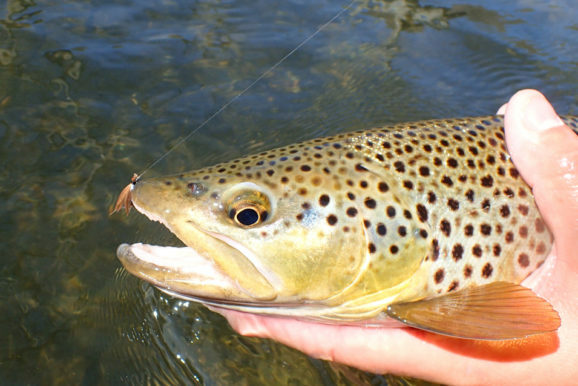 Terrestrials, and other small bugs such as Tricos create dry fly opportunities, and as you would expect, nymphing catches fish as well. One of the better venues for morning Trico fishing is down at Lower Big Meadow on Yellow Creek. The fall is a great time of year to soak in time on the water as crisp air settles back in after the summer is over. Our trout fishing is very strong, and the fall season also brings along the opportunities for anglers to fish our water in Erie for Steelhead trips. With the right weather, smallmouth bass floats can still be in full effect this time of year as well. Don’t forget that experiencing our water during fall foliage is a sight for sore eyes. This is an especially pretty time of year to be in the woods on Penns Creek or down at Yellow Creek walking around the properties as you fish. Late fall is usually a great time of year to take advantage of days on the water before winter truly sets in. 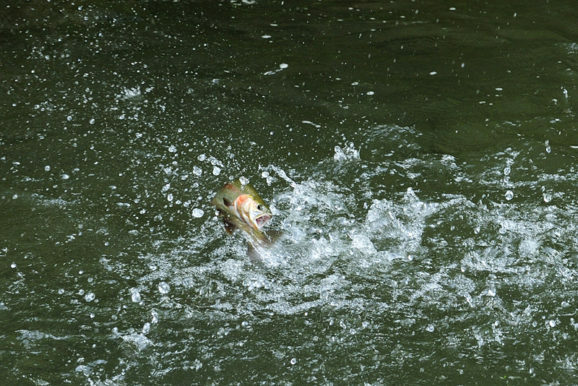 Both the trout and steelhead fishing can be very good at this time depending on conditions. The winter fishing season can be hit or miss, depending on the weather. Even during cold winters there are usually warm spells that create windows of good fishing. This season is often best utilized by anglers that can make a trip on short notice. It’s almost always a nymphing game, but it is possible to experience great days of fishing even in the winter on our water. Penns Creek can be a great winter time fishing option due to slightly warmer water temperatures. So what’s the moral of the story? The best time to come fish at HomeWaters is whenever you can! 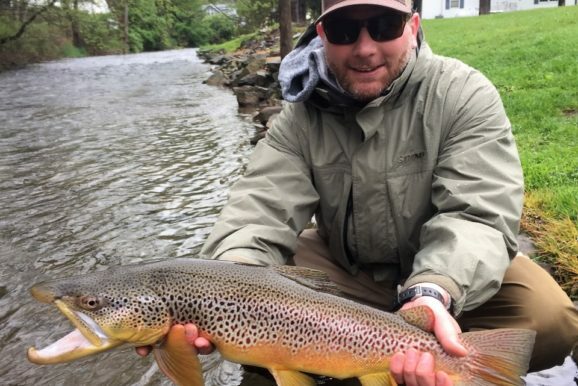 A fly fishing year in Pennsylvania has many different experiences and seasons to offer anglers. Take full advantage of experiencing all of them. If it’s time for you to put some trips in the schedule, give Joel a call.